Located in the West Midlands, Brindley Garages Group has 12 dealers that sell new and used cars. On top of this, the company sells vans made for a number of purposes. Each Brindley Garages Group dealership has a parts department and offer drivers MOT testing and car servicing. Customers looking to buy a new car will find the latest models from Honda, Hyundai, Kia, Mazda, Mitsubishi, Nissan, Vauxhall and Volvo. Brindley dealers also have a wide range of used cars from makes such as Ford, Audi, MINI and Renault. Better yet, the company has a selection of nearly new, ex-demo cars for sale at a more competitive rate. 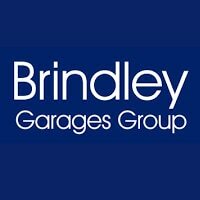 Founded by Bill Brindley in Codsall, Brindley Garages Group began life in 1931 as Birches Bridge Garage. Bill’s small dealer sold Morris cars up until the Second World War. The business then closed after Bill enlisted in the army, but on his return in 1945, he started afresh under a new name and with renewed vigour. From there, Brindley Garages grew to become a popular local business. Bill’s son Robin joined the company in the 1960s, eventually taking the helm from his father after learning the ropes on the shop floor. Today, Brindley Garages remains a family-run business with Robin’s stepson in the position of Managing Director. The company specialises in the eight franchises listed above. Brindley Garages Group’s new car range features up-to-date models from their franchisors, so customers can expect to admire vehicles like the latest Honda Civic Type R, the new Vauxhall Cascada convertible and the great city car, the Hyundai i10. Brindley Garages Group dealerships offer drivers a wide choice of used automobiles from many different brands, providing a variety of hatchbacks, saloons, coupes and estates. Customers will also find a wide selection of Mitsubishi, Nissan and Vauxhall vans at Brindley Garages Group.